East Asia media, which is extensively covering the billion dollar Malaysian 1MDB corruption scandal, continues to focus upon a major player in that case, Low Taek Jho a/k/a Jho Low, who remains a fugitive from justice, thanks in large part to his St Kitts CBI passport, which he reportedly relies upon, given that his Malaysian passport was cancelled by the authorities. 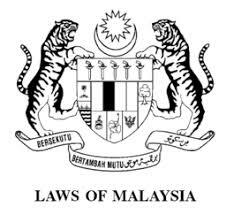 Jho is a Malaysian citizen, and Malaysian law, as the Immigration Director-General Datuk Seri Mustafar Ali has publicly stated, not only does not allow dual citizenship, it is an offense for a Malaysian nationals to have two passports. He further explained that, in Malaysia, dual citizenship is strictly prohibited. As we have repeatedly explained, the international CBI consultancies that vend economic passports generally fail to cover any of the negative aspects of CBI passports; they rarely, if ever, dicsuss tax liability, and other legal restrictions that specific clients may find themselves in violation of, should they purchase those CBI passport the consultancies are selling. Their sales staff are not international lawyers, any in-house lawyers they have call themselves "legal experts" not attorneys, and are definitely not in any way qualified to give advice on the applicants' local legal issues, for they are not admitted to practice law there. Mainly, the CBI consultancies tell the clients only the favorable information. Here, obviously, whichever CBI consultancy sold Jho his St Kitts CBI passport failed to research Malaysian law, to ascertain whether there are any legal impediments to Malaysian nationals buying CBI products. Therefore, his St Kitts passport is void, not voidable, under Malaysian law, and could subject Jho to arrest by any customs and immigration, ending his flight to escape justice. It makes you wonder why intelligent, affluent applicants always fail to retain independent counsel to advise them on all the legal aspects of a potential CBI passport purchase. They are later very unhappy when they run afoul of the law and the CBI issuer revokes their passport. Perhaps if they had secured competent legal advice, the result might ahve been different.